More than just a link shortener. Uncover new and untapped audiences with Gns.co links. 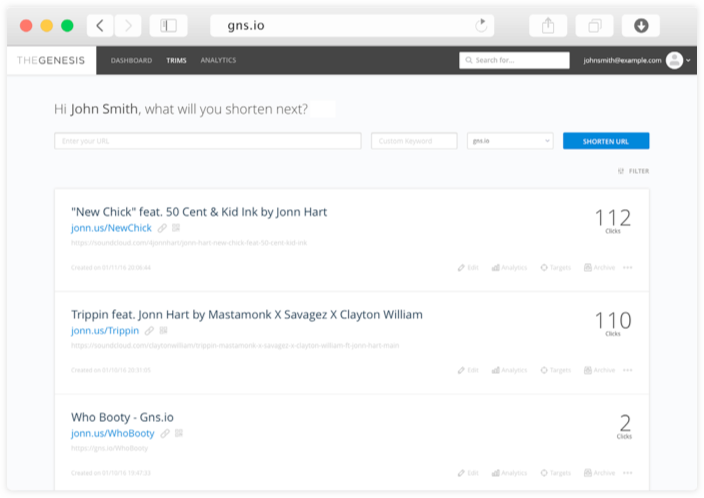 Whether you’re just beginning your digital marketing efforts or have a thorough and multifaceted marketing strategy, Gns.co has all the features you need to understand and activate your current followers and create new audiences. And, you can do it all for free. Tag, segment, and retarget listeners across the web within milliseconds. Allow artists to aggregate and utilize first-party data from social media. Use demographical, device, interest, and behavioural data to enhance advertising efforts. Generates 30% higher clicks due to audience trust. Display, mobile, video, Facebook, Instagram, search. Retarget users on iOS devices and Safari. No one else, in the world, can do this. Use data to sell concert tickets or merchandise. 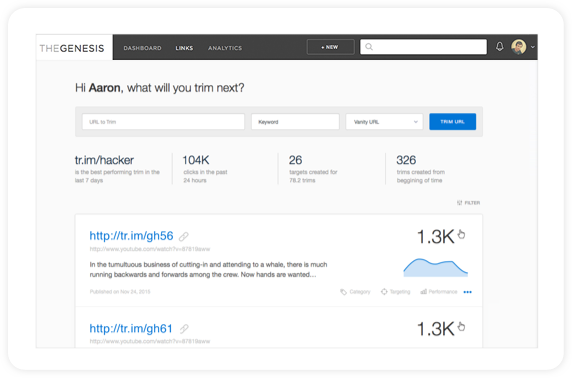 View insights on social clicks, and shares. View demographics of clicks by song, album, artist, genre, etc. Ready to boost your brand and discover new audiences? Sign Up Today!